One of the powers bestowed upon Redevelopment Authorities by Pennsylvania's Urban Redevelopment Law involves the acquisition, management, and disposition of blighted properties. The Urban Redevelopment Law includes specific descriptions of characteristics to be considered when declaring a property blighted. The City of Erie's Blighted Property Review Committee (BPRC) is the first body to consider whether a property meets the criteria to be deemed blighted. It is the ultimate goal of the City, the BPRC, and the Redevelopment Authority for responsible property owners to remediate the blighting conditions. 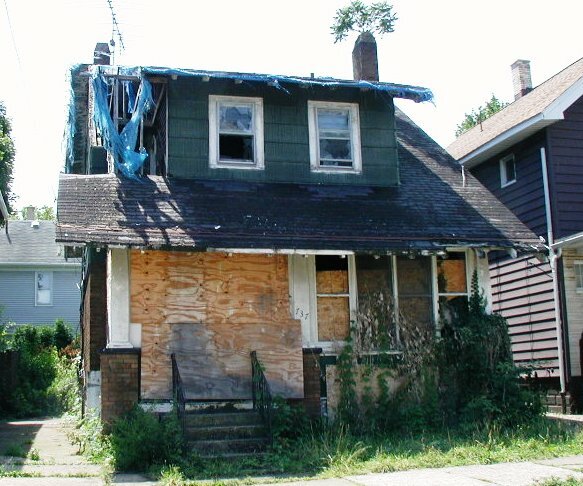 If conditions are not promptly corrected, or if public safety conditions warrant, the Erie Redevelopment Authority can use eminent domain powers to acquire the property, make the necessary improvements (which may include demolition of any structures), and identify a new appropriate use or owner for the property. Use the following link to view a list of properties currently declared blighted in the City of Erie: Blighted Property List. For more information on ERA's efforts in mitigating blight, contact our office at 814.870.1540.